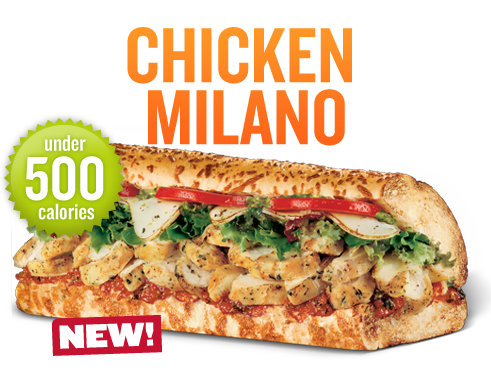 September 1st: I tried the Chicken Milano sandwich during break at Quiznos. Instead of the wheat bread, I opted to get the Garlic Bread. Also, although I usually get lettuce on my sandwiches, I’ve been taking the lettuce off and substituting with cucumbers, then adding tomatoes and onions. I’ve also not been putting mayonnaise on my sandwiches; lately, no type of condiment at all, as far as mustard, honey mustard, oil…none of that. I thought I would miss the flavor of the mayonnaise, but maybe what I had missed was the moisture that was provided. This isn’t a sandwich I could eat every day but it is one that I will indulge in more. New Things (summary): 1. the sandwich itself 2. the type of bread 3. subtraction of the lettuce 4. addition of the cucumbers 5. no mayonnaise.